Have you ever seen a group of kids joyfully chasing rolling tires along the streets? Or do you remember when children used to play on tire swings at a park? Since ages children have played with rubber tires, which now have also become one of the top choice materials for kid’s playgrounds. Besides this, a lot of efforts are also put in to control the wastage of tires and turn it towards productive use in multiple industries. Globally, an estimated 1 billion tires reach the end of their useful lives every year. Depending on the type of tire, the types of roads driven and how the tires are maintained – vehicle tires can last from 20,000 to 80,000 miles. Proper care can extend the life of the tires, improve gas mileage, and achieve better handling of the vehicle. By not only saving money, one can also help reduce the number of waste tires that must be disposed of or recycled. Disposing scrap tires in a productive way continues to be a top priority for many tire businesses. Various efforts by governmental authorities, the tire industry and individual manufacturers are in progress in order to look into the issue of scrap tires. 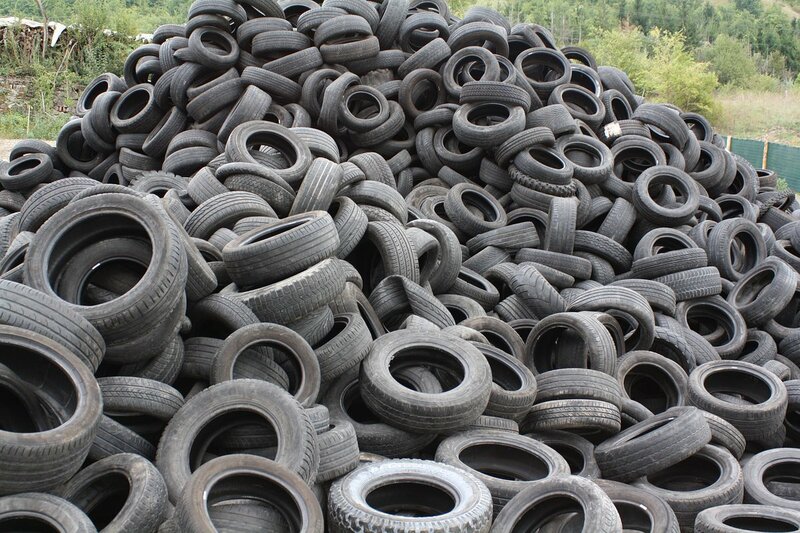 Waste tires take up valuable space in the landfills, creating breeding grounds for mosquitoes. This has exposed communities to environmental and health risks. However, as markets have grown, most waste tires are recycled for fuel, civil engineering projects, playgrounds and molded rubber products. About 765 million tires a year are wasted, of which the U.S alone contributes to 290 million tires. China and India are rapidly contributing to the waste volumes, due to the increase in new vehicles sales. In 2011 globally, 7% of waste tires were recycled on site, 11% were burned for fuel and 5% were exported for processing purposes. The remaining 77% were sent to landfills, stockpiled or illegally dumped. Growing awareness about waste disposal measures for consumer products such as tire has observed considerable growth. U.S. scrap rubber manufacturers recycle roughly 110 million tires annually – or one tire for every three people in the U.S. Additionally, recycled tires are used as raw materials in various industries promising growth in the tire and rubber remediation and recycling industry. The Scrap Tire Management and Remediation industry has been created due to two main reasons. First is the strict law for environmental protection, so as to address the environmental concerns about illegally dumped or stockpiled tires. The second major one is from the companies who are motivating end-markets to use products derived from scrap tire. Scrap tire management has made considerable progress in many countries in the last decade. In 2016, more scrap tires were consumed in the markets, hence avoiding landfills and stockpiles. The market for scrap tires in global markets is forecasted to expand in 2017-2022. The rubber industry has been faced with its own unique challenges when it comes to recycling. Out of the few questions raised, one remains prominent – Why scrap tires are not recycled into new tires, in the same way that scrap paper or metals can be recycled into new paper and metal? Although modern tires are basically rubber products, they are a complex mix of natural and synthetic rubbers, and various reinforcing materials including metals and chemical additives. The number of chemicals used and the permanent structure of the tire cannot be utilized in new tire construction. However research efforts are underway to increase the utilization of recycled rubber in new tires. Until recently, there was no technology and infrastructure to deal with this waste. Fortunately, years of effort have concluded in effective rubber recycling programs. Old tires can find new life as playground surfaces, floor mats etc. The success of rubber recycling sheds light on a promising future in non-biodegradable waste management. Environmental issues continue to be a driving force behind the recycling process, and as the recycling industry develops it is becoming clear that there can be many significant benefits.